Using easily and cheaply available food colouring ! It’s true! No nasty chemicals, no special equipment - easy to do with kitchen utensils and its safe for the children to get involved. 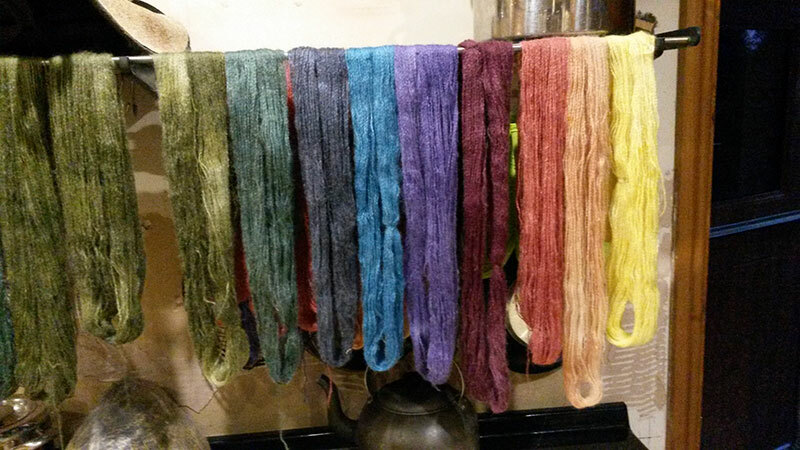 There are many methods involving water baths, a crockpot or even painting the dyes on for unique and colourful fibre for spinning or felting. Check out the internet. Just one caution, this does not work with natural food colours, the likes of Langdales and Dr Oetka are fine. Langdales produces more natural colours and can be mixed to produce lovely moss greens, aubergine/purple and heather colours. Dr Oetka produce brighter but less "true" colours ie. the blue is more turquiose and the red more crimson than scarlet but all lovely just the same. So using a combination, the possiblities are almost endless. Here I will describe just one quick method to get you started; the Microwave Method. Take your washed and carded fibre and soak in warm water with just a tiny drop of washing up liquid. Soak for at least 30 minutes. This makes it easier for the dye to be absorbed by the fibre. Mix distilled vinegar (the sort you would use for pickling onions!) with water, the proportions are quarter vinegar to water eg. 100mls vinegar to 300mls water. Or you can use 1 teaspoon of Citric Acid (available from Boots or chemist) to 1 pint of water; this is the less smelly and probably cheaper option. Pour some of this solution into a plastic cup and add your chosen colour. It is possible to get an estimate of the depth of colour by putting a drip onto a white paper towel. This gives a rough guide of your final colour and is helpful if you are mixing colours eg. red and blue to get purple. Lay out some cling film, squeeze out your fibre and arrange on the film. Pour over the colour mixture to soak; you can make stripy patterns by putting on bands of different colours which will blend into each other making new colours – experiment! Wrap up the film and seal well then squish the colour through the fibre if you want to avoid white patches. Place the wrapped “sausage” onto a dinner plate, poke a few holes in the film to prevent bursting, then microwave on high for 3-5 minutes depending on how thick your “sausage” is. Allow it to cool until lukewarm, then rinse out in water of the same temperature without agitating too much (you could end up with felt before you are ready if you are too rough with it or if there is too much of a temperature change in the rinsing water). Allow to dry; to decrease drying time tease out the fibres and hang up but not over direct heat. 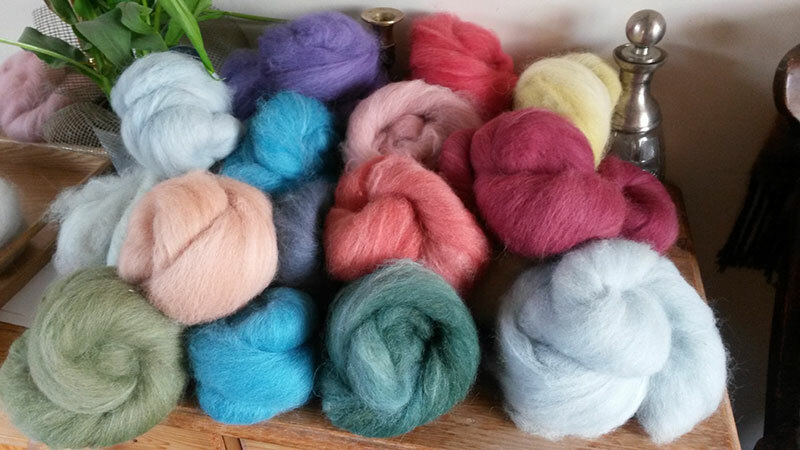 Don't restrict your dyeing to white fibre, try blues, purples and reds on black for a coloured sheen or red on brown to give a rich mahoganey finish. Be bold, experiment..... have fun!